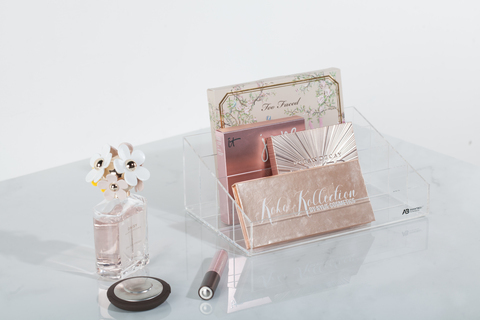 An essential piece for makeup palette collectors, AvantBox Bianca is dedicated to the community of makeup palette lovers. 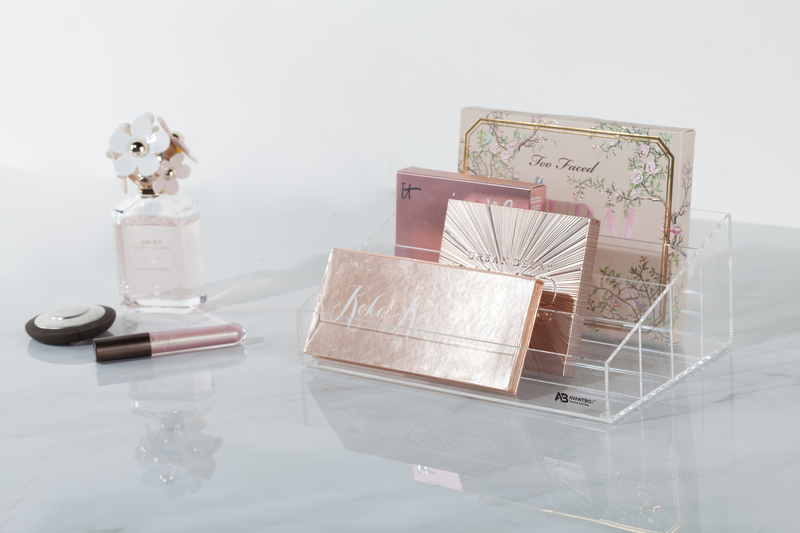 Constructed with four sections of different heights, Bianca lets you segregate your palettes according to their sizes. 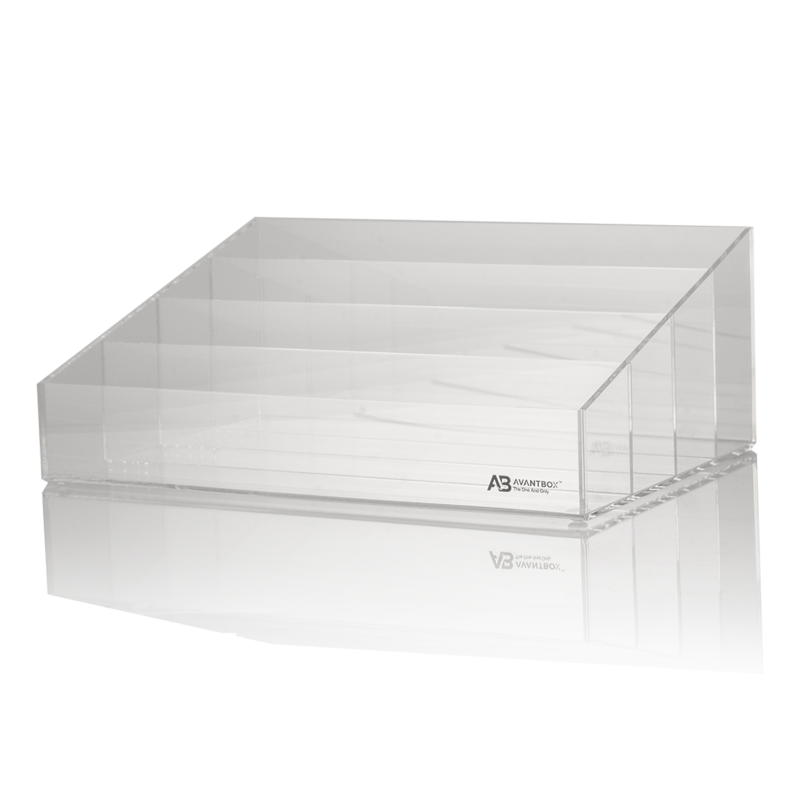 The flat base makes this organizer a great space saving addition to your vanity.